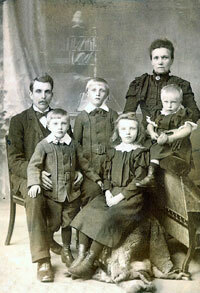 During the Victorian era, the family unit was held very highly and was precious to the people within this time period. This article will discuss some of the roles within the family that contribute to a happy family life. Firstly, the upper and middle-class Victorian family life was normally busy, fast paced and comfortable. The family sizes were fairly large, in fact in 1870 most families had five or six children. Those within the upper to middle classes usually resided in large, comfortable houses. Their roles within the family circle were highly regarded and how various roles were fulfilled was instilled at childhood by parents and the children were taught to “know their place”. 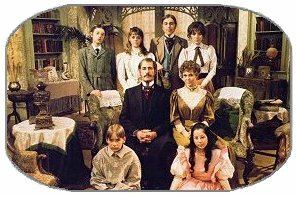 So in the Victorian home life, the head of the family would, of course, be the father who was usually strict and the children learned to obey his rules and commands without questioning him. The children had much respect for their fathers to the extent that they always spoke in politeness to him and called him sir. Many were scared of the consequences rudeness would bring or answer back in a cheeky manner therefore never even considered this. Moving on in the Victorian home life, we look at the mother. She was usually very sociable and would keep her mind and energies focused on planning great dinner parties, making regular trips to her dressmaker and socialising with friends. But the mother did not cook or clear as this was the servant’s role. In the Victorian era, the father and the mother both took great responsibility in ensuring that their children were brought up in the best way possible to make sure that they would mature into a respectable, thoughtful adult. You may have heard of the old saying “Spare the rod and spoil the child” which was, in fact, a saying Victorians firmly believed in. 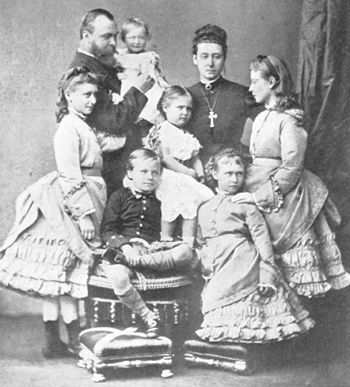 Next within the Victorian family unit are the children. Victorian England life at this time for children meant that they did not see much of their parents. The bulk of their time would be spent with the nanny or in the nursery where it would be the nanny’s responsibility to look after, care for and bring up the children. So the nanny’s job was absolutely crucial to the children growing up as they provided amusement, emotional care, and physical care as well as contributing to their education. When the children grew up, only the boys were expected to work, the daughters stayed at home with their mother. They were expected to find a suitor and to marry as soon as possible. There are several other facets to Victorian life in Britain like Society, medicine, literature, inventions and much more.